Wisconsin’s well-known chain features buttery cheeseburgers and smooth custard with enough variety to make dairy lovers swoon. But there’s more to this family-owned business than just cheese curds and fries. 1. THE CULVERS SHARE A LOVE FOR DAIRY. AND FAMILY BUSINESS. Four members of the Culver family—George, Ruth, their son Craig, and daughter-in-law Lea—banded together to launch the first Culver’s restaurant in 1984. The Wisconsinites planned out the most regional, dairy-laden menu possible: burgers topped with cheese and butter, fresh custard, and fried cheese curds. The first blue-roofed Culver’s restaurant popped up in Sauk City, Wisc., close to the family’s hometown, and still serves the famed ButterBurgers more than 30 years later. George and Ruth’s other children, Curt and Georgia, are company shareholders. 2. THE CULVER FAMILY HAS OWNED A LOT OF RESTAURANTS. The namesake fast-food restaurant isn’t the Culver family’s first. George and Ruth Culver bought their first restaurant—an A&W—in 1961. Craig said the restaurant was a family effort, and at the age of 11, he and his two siblings did “everything from car hopping to being the janitor to working in the kitchen.” George and Ruth later bought The Farm Kitchen in 1968—where Craig would meet his wife, Lea. And for two years, the family also ran the Ritz, a supper club. In 2000, nearly 16 years after Culver’s restaurants launched, the family opened the Blue Spoon Café, a “creamery café” that serves lots of upscale, dairy-featuring dishes and wine. 3. A JOB AT MCDONALD'S WAS INSPIRATION FOR THE CULVER'S CHAIN. After a childhood of restaurant work, co-founder Craig Culver swore off a career in the food industry. “It was just different than most families. We were always serving people while they were vacationing and having fun,” he said. Instead, Craig went on to study biology in college, but found himself without a job after graduation. A three-year stint as a McDonald’s assistant manager pushed him to reconsider the food industry. Before long, he convinced his parents to come out of retirement to launch their own burger and custard joint. 4. THE FIRST CULVER'S FRANCHISE DIDN'T GO SO WELL. Despite the family’s food industry experience, the first Culver’s restaurant wasn’t an instant success. The restaurant lost $40,000 in its first year, but turned profits in its second and third years. By 1987, Craig, Lea, George and Ruth were approached with a franchise offer that they grew to regret, partially due to their inexperience in franchising contracts. Craig Culver refers to that first franchise location as “a failure,” and the family held off on franchising again until 1990. Now there are 560 locations in 22 states. 5. WANT TO OWN A CULVER'S? YOU'VE GOT TO ENLIST IN BOOT CAMP. After the first franchise debacle, it’s become a bit more difficult to own a Culver’s restaurant. That’s where Culver’s “Boot Camp” comes in, to ensure interested parties are a strong fit for the chain. First, potential owner-operaters have to work 60 hours in a Culver’s restaurant, without pay, before moving on to four months of training in every restaurant role. It’s not cheap or easily accessible: the program costs around $20,000, and franchisees aren’t considered if they don’t have a net worth of at least $500,000. Plus, Culver’s only accepts 36 people into boot camp each year. 6. CRAIG CULVER SNAGGED THE BUTTERBURGER IDEA EARLY ON. 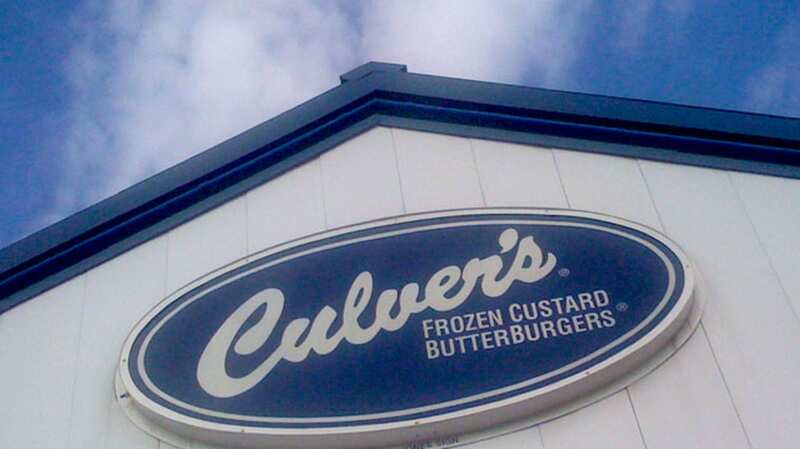 The Culver’s co-founder admits that a friend told him about an old Milwaukee restaurant called the Milky Way that served butter burgers. The restaurant had long since been out of business, but Craig held onto the idea in case he ever had the chance to use it. Except, he didn’t know what to do with it: “When we opened Culver’s, I didn’t have a clue how the butter was going to be involved in the burger—whether it was going to be on the grill or put a slab of butter on the bun—and it took us a couple weeks to figure out how to do it.” Craig said his mom’s way of cooking hamburgers, with grilled, buttered buns, ended up being the perfect recipe. 7. HE ALMOST RENAMED IT THE BETTERBURGER. But by then it had already taken long enough to explain to customers what a ButterBurger was. When the burgers became well known, it made sense to keep the ButterBurger name. 8. GLUTEN-FREE EATERS CAN HAVE BURGERS THERE, TOO. Even though the chain’s menu is definitely not lactose-intolerance friendly, Culver’s offers burgers for gluten-intolerant diners. Culver’s decided to add the bun option in early 2015 after receiving requests from customers. Two years prior, Craig said that they were looking to become more accommodating to allergens and healthy eaters, but felt for those who couldn't indulge in his restaurant's signature dishes. "Gosh, if you can't enjoy a good burger every once in a while, or a great frozen custard cone," he bemoaned, "that's kind of sad, I believe." 9. CULVER'S MASCOT IS A GIANT SCOOP OF CUSTARD. Because what other mascot would do for a burger and custard place than a cone called Scoopie? The giant vanilla scoop attends children’s and philanthropy events, and once, back in meme-crazed, early '13, he made his own Harlem Shake video. 10. IT TAKES A LOT OF COWS TO MAKE ALL THOSE FROZEN TREATS. Because Culver’s serves up 150 million scoops of ice cream each year, there are 5400 dairy cows, working full-time, to be exact. The chain offers 80 different frozen flavors, but each restaurant only serves three per day: chocolate, vanilla and a random flavor that varies by location. 11. THE CHAIN'S CO-FOUNDER COOKED THROUGH RETIREMENT. Up until his retirement in 2015, Craig Culver still enjoyed flipping burgers. When official business got too stressful, Craig would stop in at a nearby Culver’s for a little grill time. “I’ve often said if I’m having a bad day in the office, I need to get into the restaurant,” he said. His favorite to eat? A double ButterBurger with cheese. 12. THE MARKETING DEPARTMENT REALLY LOVES MOVIE PUNS. Culver’s Community Theater isn’t exactly what it sounds like. The chain’s YouTube channel features 10 ads that play off classic films starring Culver’s menu items, like “Lord of the Onion Rings,” “The Wizard of Cod” and “Frytanic.” Sounds like a perfect dinner and movie date night.